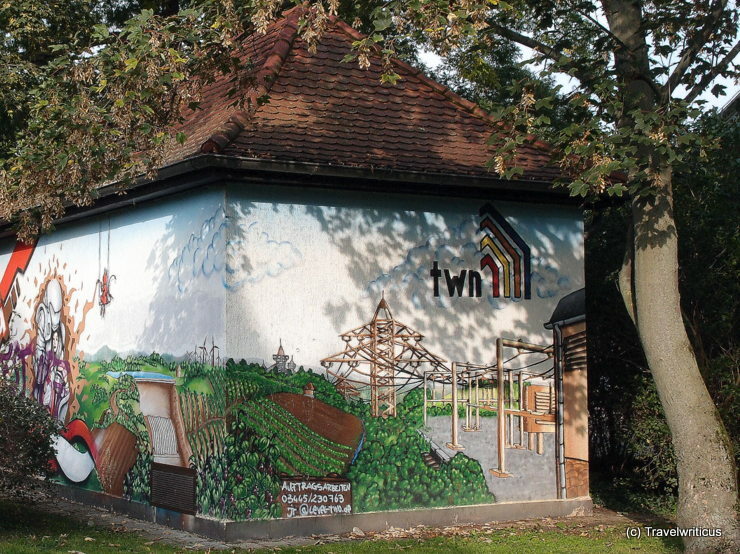 This mural on an electrical substation of the TWN in Naumburg (Saale) shows a large substation, some vineyards and the famous cathedral of Naumburg. This entry was posted in Murals and tagged Germany, Naumburg (Saale), Saxony-Anhalt by Travelwriticus. Bookmark the permalink.